Part of the A1(M) which was closed earlier today after an accident in dangerous conditions near Ripon has now been reopened. 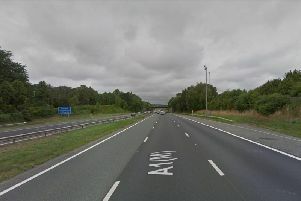 The northbound carriageway was closed between junctions 49 and 50, near Baldersby. The closure was due to a multiple collision and a car fire.